The Mirage Karaoke finally opened its doors after a period of renovations and other works. The opening ceremony welcomed many guests within the Chinese Business Industry, both locally and internationally. Chief officers of Crown Resort Casino were also in attendance of this new business venture. The opening ceremony commenced with a number of speeches from the owners and investors. 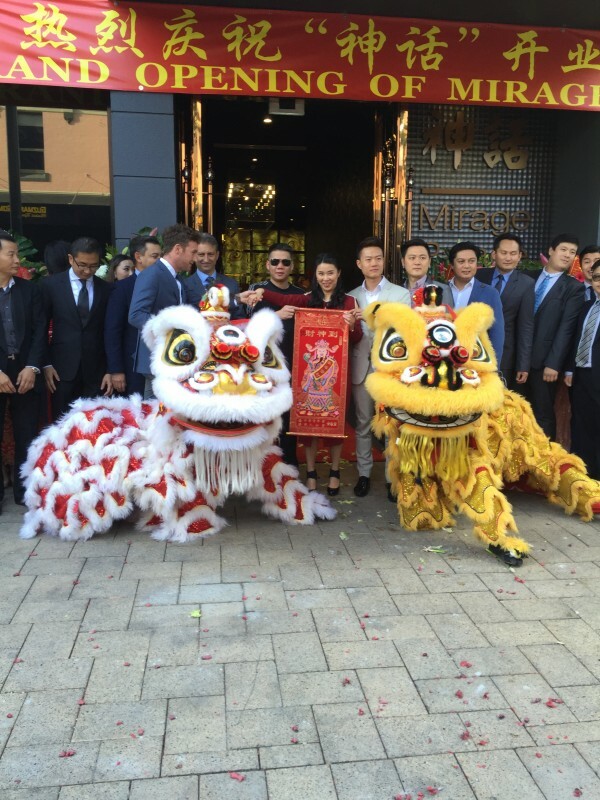 After the auspicious ribbon cutting, the lion dance performance began in bringing in the good luck for the new business. The lions blessed the whole venue, at same time entertaining the guests before presenting the owners with a good luck scroll. The CCC Lion Dance Troupe wish the staff at Mirage Karaoke all the best success in the new business venture.